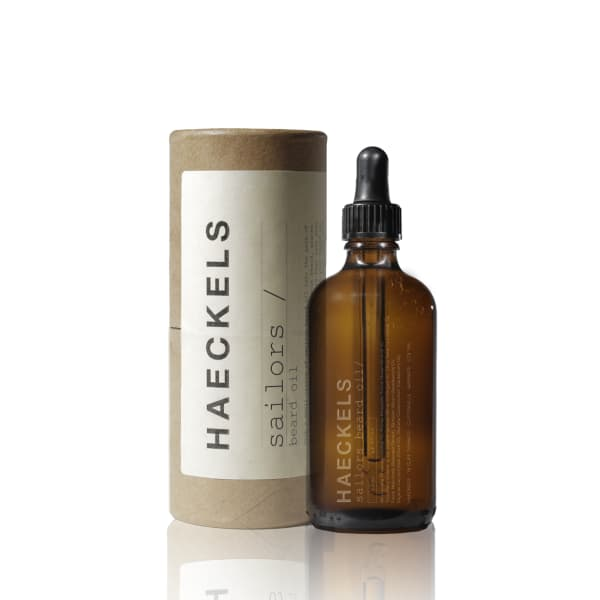 A hydrating Haeckels Sailors Beard oil suited to coarse facial hair that also nourishes the skin beneath. This aromatic naturally hydrating oil softens and adds a healthy lustre to coarse hair whilst moisturising and treating the sensitive skin beneath. No. 3 Shop in Lenham, Maidstone,, United Kingdom.